Here are my top five reasons for continuing to stick to the Indian thali, to stay healthy. Indian cuisine does not get its due. Rarely does it get listed in the healthy-cuisines-of-the-world lists. That's sad, because it has a lot going for it - not just taste-wise, but health-wise too. I thought listing the positives of an Indian thali would be the best way to pay an ode to ourselves on this Independence Day. So here are my top five reasons for continuing to stick to the Indian thali, to stay healthy. What we have been eating for last many decades, it seems has been right as it has helped keep a tight lid on mind debilitating disorders like Alzheimer's, dementia, and Parkinson's. India, in fact, has the lowest rate of these diseases in the world, and the now the mystery has been solved. Turmeric, our golden much-used spice contains an antioxidant called curcumin, which has been linked to a lower risk of these and a few cancers as well. In fact it's not just about turmeric, spices in Indian cooking are there for more than just flavour. They are there for a purpose - to cool or to heat the body, to avoid flatulence, to boost metabolism and that's a good thing. Now we also know that adding black pepper - which most Indian cooks do intuitively in curries and other spicy dishes - helps boost curcumin absorption. Traditionally, our diet has been low in meats, and that according to studies just helps significantly reduce the risk of Alzheimer's disease, but also cuts the risk of developing CVD and hypertension. And this is actually a wonderful example of food synergy, which is a relatively new stream of nutrition. Till even a decade ago, the world didn't know about the fact that eating two or more ingredients together can help score bigger health benefits. Today, though it is clear that while every food that we eat has its own profile of nutrients, often certain combinations are greater than the sum of their parts. In Indian cuisine, we have been, wittingly or unwittingly, applying this food rule for ages. By dunking whole wheat roti into a yoghurt we ensure that the zinc is absorbed better from wheat. 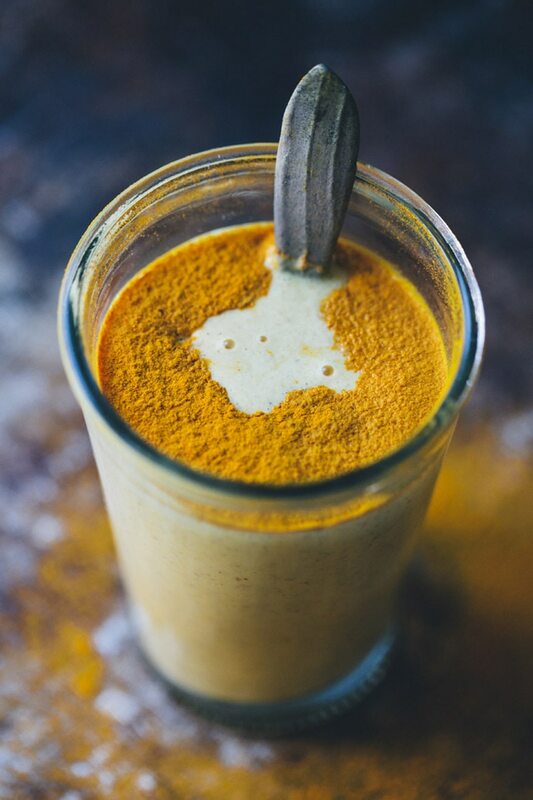 Traditional haldi doodh (turmeric milk) that always has some black pepper added to it is another age-old food synergy masterstroke, as black pepper helps in better absorption of curcumin from turmeric. Also the ubiquitous dal chawal combination delivers complete good quality protein, making up for the missing amino acids in lentils and grans. There are many more such examples in the Indian way of cooking and eating. A good probiotic food is one that contains millions and millions of live bacteria which join hands with the good bugs already present in our gut and boost our gut health. Traditionally, our diet has been low in meats, and that - according to studies - not just helps significantly reduce the risk of Alzheimer's disease, but also cuts the risk of developing CVD and hypertension. Also, I feel that it is easy to stay primarily vegetarian with Indian cuisine. With the wide range of vegetable and lentil dishes there are in all regional repertoires, you won't miss meat for one second. Probiotics are a hot word today, and are being considered as a panacea of sorts that can put our gut in order and prevent all modern-day ailments. 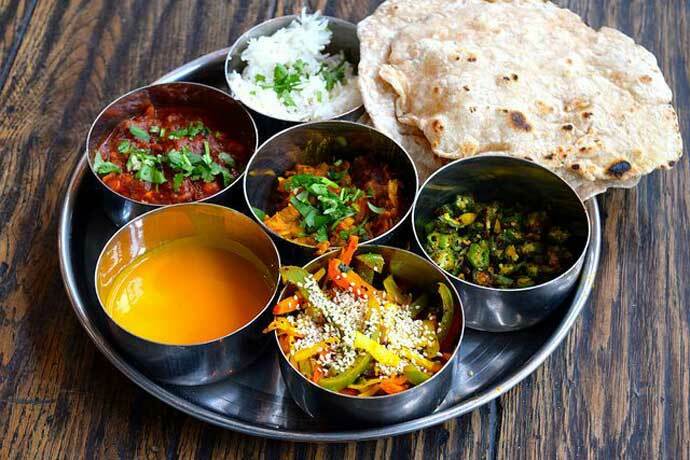 Our traditional thali is chock-a-block with such foods, we just never realised it. Homemade dahi (curd), pickles, fermented vegetables, kanji, most dishes of south-Indian cuisine like buttermilk, idli, dosa, appam, dhokla, uttapam - are all high in live cultures of the good bacteria. Maintaining gut health has been considered important right from the times of ayurveda. Finally, we have been smoke point -wise too. Smoke (flash) point is the temperature at which a bluish smoke begins to emerge from the fat source and begins to burn and disintegrate (basically when the pan starts smoking and an acrid smell begins to emanate). Besides spoiling the taste of the food, studies point to the fat that - at this point - oils turn carcinogenic too. Apparently, our ancestors were smart about this. Traditionally, we have been frying foods only in oils that have high smoke points like coconut oil and peanut oil instead of those (like corn, canola, sunflower, sesame), which have a low smoke point. And this is precisely why ghee that has a very high smoke point was always such a favourite earlier for all frying purposes (link to ghee story). I say sticking to our Indian food is probably the wisest health decision we can make in today's time. Maybe that's the pledge we need to take this Independence Day.